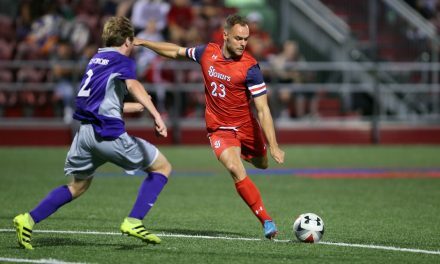 QUEENS, N.Y. – After splitting two decisions in its opening weekend on the road, the St. John’s University men return to Belson Stadium to kick off a four-game homestand against Fordham Friday at 7:30 p.m. The match will be streamed live on ESPN3 and the Watch ESPN app, the first of five St. John’s matches this season to be carried on the platform. Ralph Bednarczyk will handle the play-by-play duties, while Sal Rosamilia will provide color commentary. The Red Storm enters the game on the heels of a 1-1 road swing to start the season, blanking Drexel, 3-0, Friday night before falling to preseason Patriot League favorite Loyola Maryland, 1-0. The Johnnies’ three goals against the Dragons were the most by the Red Storm in a season opener since 2012, when the Johnnies downed Boston University by the same 3-0 margin at Belson Stadium. 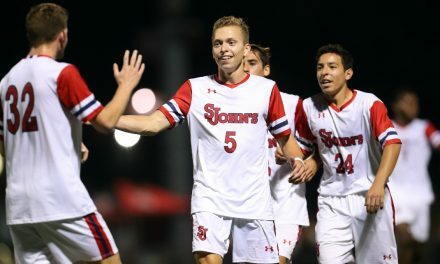 The win also marked the first by St. John’s in a true road game to start the season since the College Cup campaign of 2008, when the Red Storm topped No. 18 Virginia, 1-0, in Charlottesville. For his efforts against Drexel, Harry Cooksley was named to the first Big East weekly honor roll of the season. The senior from London tallied the eventual game winner for the Red Storm in the 13th minute on the team’s first shot of the season before assisting on two insurance goals in the second half. His four points were the most by a Red Storm player in a season opener since the national championship season of 1996, when Medufia Kulego scored twice and assisted on another goal in a 5-3 win over Fordham in Queens. A 2016 first team All-Big East selection, Cooksley was one of two players in the conference unanimously picked to the preseason conference team. Sporting the same opening lineup in both of last weekend’s games, the Red Storm featured four newcomers in its starting XI. Senior David Enstrom, a first team All-MAC selection at Buffalo last season, started both contests at center back and was the only Red Storm field player to log 180 minutes. Redshirt junior Zachary Shiposh fired off three shots from the midfield in his first two matches as a member of the Red Storm, while a pair of Icelandic freshmen in Bjarni Rognvaldsson and Zakarias Fridriksson saw big minutes. Sophomore Matt Forster, who made four appearances last season before missing the remainder of the season due to injury, started both of the Red Storm’s opening games. Fordham, the preseason favorite to repeat as Atlantic 10 Champions, returns to the area after a 0-1-1 weekend to start the season in North Carolina. The Rams opened the campaign with a scoreless draw against Elon before falling to Duke, 3-0. The winner of the Atlantic 10 crown in two of the past three seasons, Fordham returns eight starters from last year’s NCAA Division I tournament squad, including 2016 A-10 offensive player of the year Janos Loebe and his brother Jannik, a first team All-Atlantic 10 selection a season ago. The Rams also return starting goalkeeper Rashid Nuhu, who earned second team all-conference honors after compiling a 0.75 goals against average with seven shutouts in 2016. St. John’s and Fordham share a series history dating back to 1980, with the Red Storm holding an 8-7-1 advantage all-time over its Bronx neighbors. 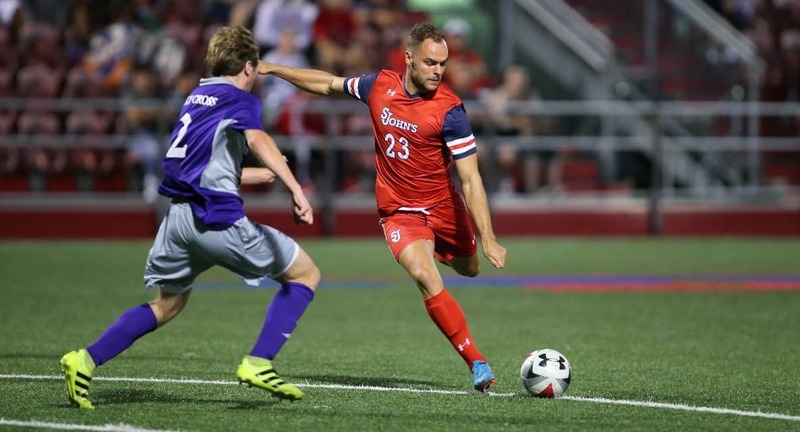 The last meeting between the two schools came in 2014, when Gabriel Camara broke a scoreless tie in the 87th minute to secure a 1-0 victory for the Johnnies at Belson. 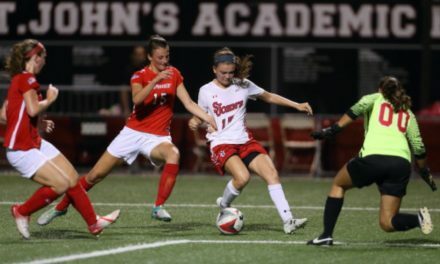 Prior to the 2014 game, the Red Storm and the Rams had not met since the 1996 NCAA Tournament, when St. John’s rolled past Fordham, 5-1, en route to the program’s first and only national championship. Red Bulls II head coach John Wolyniec was a member of that Fordham squad.